Logging in will open up any ticketing benefits you may be entitled to. Celebrate spring and the end of another year at Grad Professional Ball 2019 - the largest Graduate and Professional Student Programming Board event of the year! 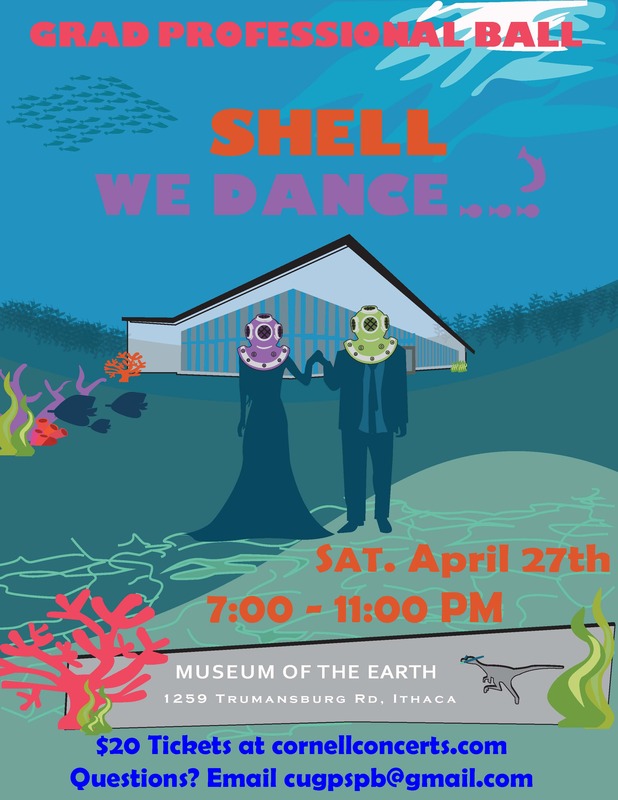 This year, Grad Ball will be held at the Museum of the Earth and there will be appetizers and drinks provided by Ithaca Bakery. Transportation to and from various stops such as Downtown, CTB, The Vet School etc. Seas the Day and join us for a night filled with celebration, great dancing, and fabulous food among graduate and professional students from across Cornell! Please follow @cugpspb on Facebook for more details!